I always keep a sewing journal. In it I jot down information about projects. 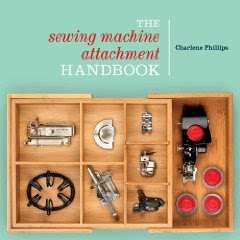 Especially helpful when working with special threads and decorative stitches. I note the stitch length, width, or anything special about creating what I wanted. 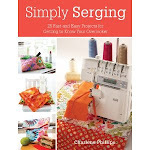 No matter how you decorate a special book - keep a sewing journal! I bought a 6" x 9" black, 3 ring binder. The 3-rings let me remove and fill papers as I wish - and inexpensively! You will also need your fabrics. Front & back - 10.5" x 18"
side pieces (4) - 6" x 10.5"
I will explain in brief detail how I make my journal covers. Just lifts me up to grab that special book! 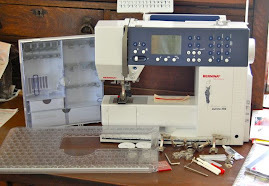 If you are looking for fuller instructions, with more photos, head on over to my web site for the Quilting/Sewing Journal. All seams are 1/4" throughout, unless I note otherwise. Optional feet I used were the binder for piped edges, walking foot, embroidery foot, zigzagger, ruffler (if you want to add some ruffles), and a seam guide of sorts. 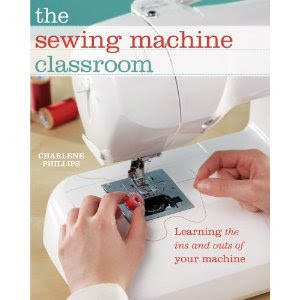 Lay your fabric on the sewing table, opened up. Place your binder in the center. Trim if necessary. If you are adding batting (optional), place it between the two layers. I always have it larger to allow for becoming drawn up while embellishing or quilting. Set your "sandwich" of fabrics aside. Place two of your side pieces right sides together. Stitch down the left longer side. Two wrong sides together. Press and repeat with the other two side pieces (now stitching down the longer right side). I did add a pencil holder to mine. If you want one, sew it onto a panel piece you just finished, the one that goes on the right side of the journal. I work visually, so I lay each piece out as it will look when finished! Fold your holder piece in half, and will now be 3" x 5". 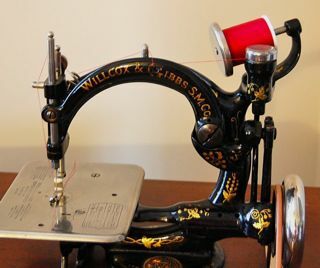 Sew around 3 sides, leaving a small turning hole. Turn and press. Place in the center of the side panel. Sew around 3 sides, leaving the top open for your pencil of course! 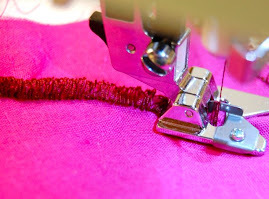 If you want two slots, sew down the middle of the holder. If you want a label on your journal, make it now. 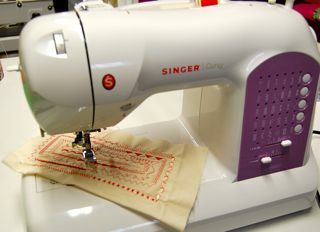 I used my embroidery machine, but you can embroider one with your sewing machine using free-motion. A nice script written in a permanent fabric pen also works! Tuck under the raw edges or zigzag around them. Your choice of what you want. Be creative! Is totally optional. If you wish to do some quilting, be sure to have your batting in the center of your two fabric pieces. Place your fabric with the label right side up. Check to ensure your label is on the right side of the fabric; just as it will look when you are finished. Place your panel with the pencil holder and button loop on the left side; raw edges together. Your pencil holder and loop will be placed towards the inside.Place the other panel on the opposite side; raw edges together.Place your backing fabric on top; like a sandwich. Pin together. Sew around all sides; leaving a 5” opening at the bottom. Trim the corners. Turn to the right side. Press. Stitch the opening closed. Slide into your 3-ring binder. Add any final embellishment. Begin jotting down your ideas!